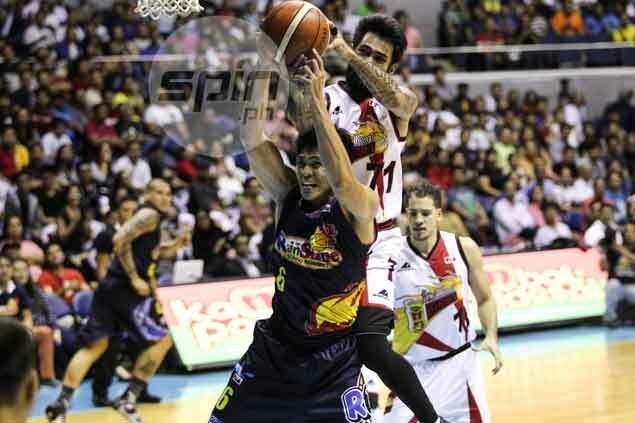 JIREH Ibañes insisted it was not his intention to hurt June Mar Fajardo in Game Six of their PBA Philippine Cup semifinal series between San Miguel and Rain or Shine on Friday night. The Elasto Painters wingman apologized for leaving the SMB superstar down on the floor after injuring his left knee in their collision, but stressed there was nothing dirty about what he described as an ordinary battle for the rebound with five minutes gone by in the third quarter. “I saw my teammate take a shot so I tried to put myself in the best position to get the rebound and that's it, it happened,” the Rain or Shine defensive lynchpin said. The incident left Ibañes as the subject of scorn by SMB fans, but the gutsy guard insisted he did nothing wrong. Painters coach Yeng Guiao stood by his ward.